The name Matthew Shepard is so significant it’s enshrined in American legislation: In 2009, President Barack Obama signed the Matthew Shepard and James Byrd, Jr. Hate Crimes Prevention Act, expanding existing law in response to the victims’ targeted deaths. (Byrd was black; Shepard was gay). Shepard’s murder became a rallying cry for the LGBT community, a powerful symbol of the movement in the late 1990s and beyond. Michele Josue, a close friend of Shepard’s, witnessed the pronounced positive impact her friend had in challenging homophobia following his death, but she also felt like in that process, his identity became lost to the cause. The title of her documentary reflects her desire to reinstate the personal. With its pointed use of the present tense,Matt Shepard Is A Friend of Mine attests that his spirit lives on in American history. He’s been eulogized, historicized, and legislated, but Josue felt the need to rewrite on that palimpsest and give herself closure. The film opens with a somewhat perfunctory refresher on Shepard’s death. On Oct. 12, 1998, the 21-year-old university student socialized with two young men at a bar in Wyoming, Aaron McKinney and Russell Henderson, who knew he was gay, and took advantage of his inherent friendliness by offering him a ride. They tied him to a fence and beat him mercilessly to near death. (Shepard later died in a coma.) The story shocked and outraged the world and especially rocked the U.S., gaining significance when McKinney’s lawyer introduced a “gay-panic defense” and the Westboro Baptist Church protested at Shepard’s funeral. Josue interviews Shepard’s family, teachers, mutual friends from her and Shepard’s Swiss boarding school, and his university pals. Though tender, this section of the film veers into sentimentality. Shepard showed incredible promise as a young man to lead a remarkable life. That he was prevented from doing so is a tragic story, but it’s also tragic that his story is limited to people speaking for him, that his young age prevented him from discovering an outlet for his voice. Josue does try to account for this void; she reads his diary entries, films his handwriting, asks tear-stricken friends to read his letters. Yet they never account for their idealized version of Shepard. The film picks up steam when it reaches Laramie, Wyoming, where Shepard lived in his early 20s after re-enrolling in college. Laramie becomes a character, with its citizens’ indifferent attitude contrasting the strikingly beautiful landscapes around them. This is not the first story to probe Laramie’s role in Shepard’s murder—The Laramie Project questions Shepard’s move to a homophobic town—butMatt Shepard contextualizes his decision rather than challenging that particular twist of fate. Shepard travelled the world and wanted to get away, but was convinced by his guidance counselor, Walt Boulden, to attend school somewhere just far enough from family for Shepard to feel both safe and free. The film introduces more talking heads—law enforcement and witnesses at the bar—when it details Shepard’s last night, before adding more personal testimony from family and friends who painfully endured Shepard’s death and the ensuing media shitstorm. One particularly touching story is Boulden’s account of telling the comatose Shepard that they would be unplugging his life support. Overwhelmed by the urgent emotional and logistical demands following their son’s death, Judy and Dennis Shepard asked the grieving Walden to do this for them, and it deeply touched him. Equally moving and vexing is Josue’s interview with Father Roger Schmit, who counselled McKinney in the days before he was almost given the death penalty. Josue questions if McKinney and Henderson could contain “good in their hearts.” Schmit refuses to villainize them, and his words hit her like a ton of bricks. Gingerly, he apologizes, explaining that her pain and anger over Shepard’s death serves a purpose, that grief should not something get rid of, that it should be embraced. It’s one of the more sophisticated moments in a film that could use more of them. Josue’s approach to her personal project is ambitious in offering the fullest possible context—a strategy that was perhaps necessary, given that Shepard’s death was 15 years ago. 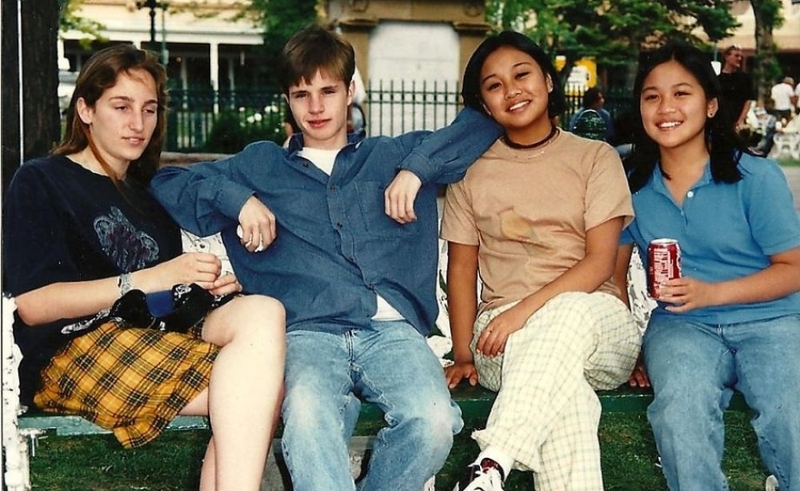 Gay rights have evolved considerably since then, and the film is wise to end on Judy Shepard’s role in that activism through the Matthew Shepard Foundation. But the film also possesses a poetic beauty that feels underused at times; Josue shows perhaps too much restraint, as if she’s not ready to deal with her lingering grief and can’t acknowledge it. This is a difficult criticism to make about a documentary this personal. So perhaps it’s interesting that the film’s shortcomings, then, are also simultaneously one of the more fascinating things about it, revealing the inevitable difficulty of filming grief, no matter the distance.